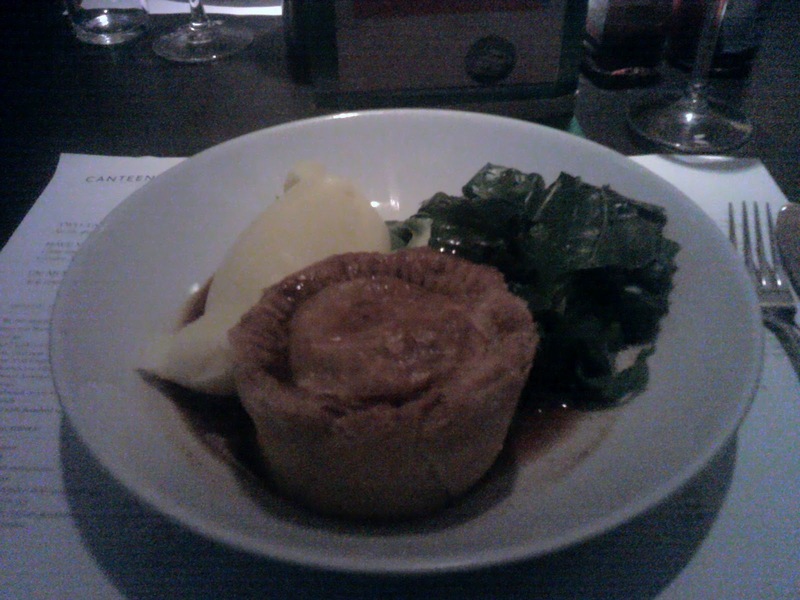 Pierate - Pie Reviews: Where can you go to get a pie on Baker Street? Elementary. Where can you go to get a pie on Baker Street? Elementary. With the recent Guy Ritchie directed Sherlock Holmes film and the ever popular BBC series Sherlock it seemed like the perfect time to have a Sherlock Holmes themed pie review. What is more appropriate than to have a freshly baked London pie on Baker Street? Sadly 221B itself is not a quaint little pie shop but actually an office block. However just down the road is a delightful restaurant called Canteen. 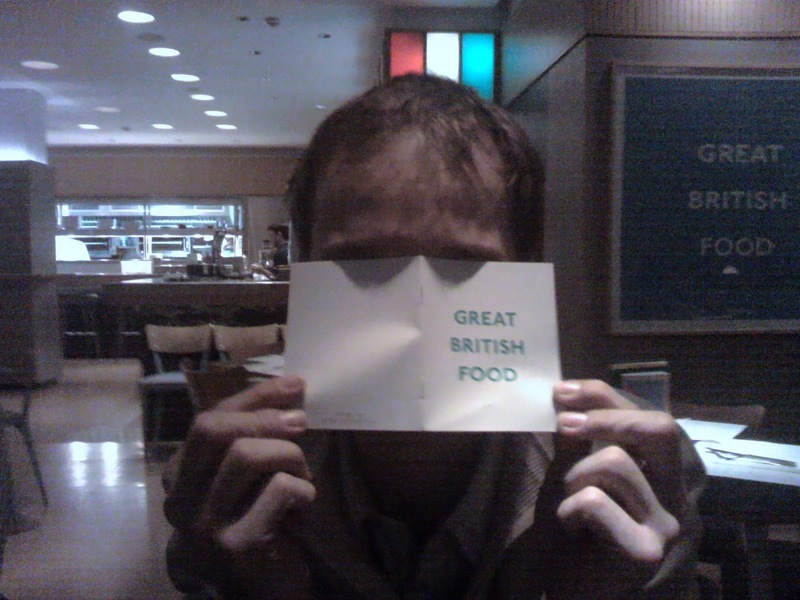 Advertising 'Great British Food' I deduced that pies would certainly be on the menu. 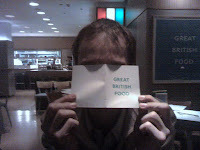 Having a Frenchman amongst our group it was great to be able to find somewhere specialising in British food for him to try. Walking into the restaurant I detected a distinct lack of atmosphere in the establishment, it was too quiet for my liking but fortunately this doesn't count towards their score. I soon started interrogating the main witness in the pie baking incident (the waitress). 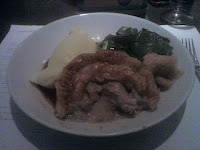 The pies that day included a pork and apple pie which I decided to investigate further. It was nice to have different freshly made pies each day. My first clue as to the quality of the pie was in the lovely golden brown colour it had assumed. It looked very tasty but perhaps like the great Sherlock himself this pie was a master of disguise? Not a bit of it. The pie burst open with delicious flavours, the pork was tender and the pastry quite melt in the mouth. I also got a healthy portion of mash and veg. My main concern however was for my bank balance. The proper restaurant setting came with restaurant prices so this pie set me back £11.50. However this is London and the pie really was a premium product so it still weighs in with a high score. And that's it, case closed, a great pie. Everyone goes home happy and hopefully no one noticed the very tenuous link to Sherlock Holmes. Are you rating your own eyebrows highly??? I'm not sure that is allowed! I can though and I would rate them as a 6.8/7.